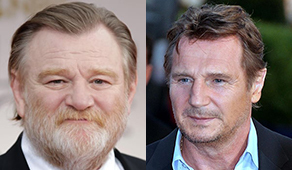 Liam Neeson and Brendan Gleeson are to reunite as co-stars in a forthcoming Netflix production ‘The Ballad of Buster Scruggs’, which will be available later this year. It will be the first time since 2005 that Gleeson and Neeson have working on the same film, having previously both appeared in ‘Breakfast on Pluto’ and ‘Kingdom of Heaven’. They also both starred in the 2002 film ‘Gangs of New York’ and, in 1996; Neeson played the title role in the historical biopic ‘Michael Collins’, while Gleeson played Liam Tobin, the instigator of the Irish Army Mutiny in 1924. The Ballad of Buster Scruggs was initially filmed in separate parts as a Netflix original series, featuring six tales about the American frontier. This week, however, it was announced that it would now be release as a movie, which will premiere at the Venice Film Festival in late August (29th August – 8th September). Also in the cast across the stories are the likes of James Franco, Ralph Ineson, Zoe Kazan, Liam Neeson and Brendan Gleeson. Academy Award® winners Joel and Ethan Coen wrote and directed the anthology, as well as serving as executive producers. Megan Ellison and Sue Naegle from Annapurna Television also served as executive producers, along with long-time Coen Brothers collaborator Robert Graf. ‘The Ballad of Buster Scruggs’ is an Annapurna Television production and will premiere on Netflix in 2018.